Yearning for acreage and country living? Meticulously maintained - this one owner home is move-in ready! Open living/dining/kitchen with hardwood flooring and fireplace. Updated kitchen with granite and stainless appliances and extra built-ins. Fully heated, year-round sunroom opens to deck and looks out on the 4 acres of lawn and gardens. The lower level features a second fireplace in the family room, full bath and large den that opens to a patio. The rear yard is partially fenced. 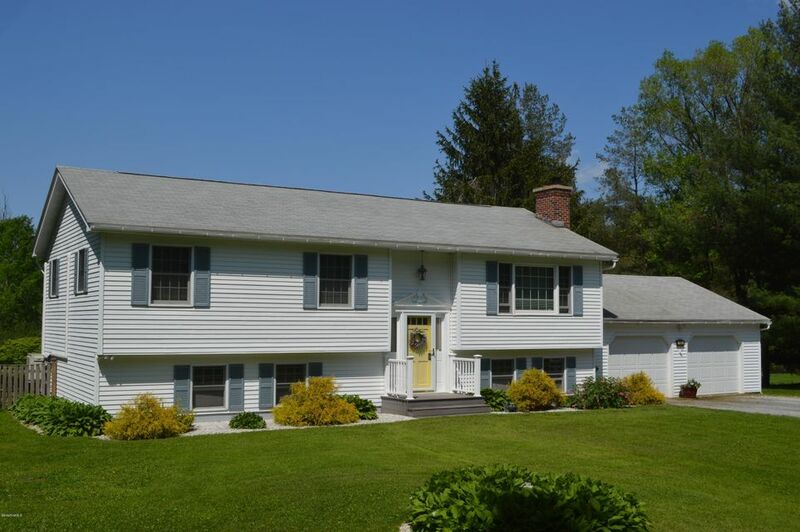 Quiet country location but convenient to Richmond Pond, Tanglewood, and all the area attractions!